Let me get right to the point. No BS. No dinking around. There’s a brutally unpleasant dark side of being an HR professional. No matter what you do, someone is going to criticize and distrust you — and many will hate you, even if they don’t know your name. First of all, if you’re doing your HR job well, your actions will directly and negatively affect the personal lives, dreams, ambitions and the livelihoods of every single employee in your organization. For example, in staffing situations, for every one person that is thrilled to be hired or promoted, you’re often the bad guy that has to call up and dash the career hopes of six to ten others by letting them know they didn’t get the job. In job eliminations, you are often the last person that terminated employee sees and talks to about all the great benefits the company will no longer be providing to them and their family, now that they’ve been whacked. Your inside knowledge about that planned layoff, those anticipated cutbacks in the health care plan, that business that is about to be sold off or that outsourcing decision that will wipe out an entire department — all of which can affect the peace of mind, families and the paychecks of many of your closest non-HR colleagues — puts you in a position to keep secrets, sidestep the truth, come across as coldly objective or seem distrustful because you cannot reveal what you know. Secondly, your HR role often requires you to deliver bad news. For example, saying no to a manager who wants give an “out-of-guidelines” increase to her indispensable, superstar employee who has just been offered a huge salary increase at another company. Or disappointing a powerful executive who is hellbent on terminating an employee immediately, but hasn’t followed the proper progressive disciplinary due process guidelines and hasn’t afforded the employee the opportunity to correct their performance. In these situations, most great leaders will respect your stance. However, a few deep down will blame you for throwing a monkey wrench into their plans and serving as a bureaucratic speed bump to the success of their business. Thirdly, some people may not even hold a grudge against you personally. They just hate your guts because they had a run-in with someone else in HR over a mistake made years ago. It could be that an error was made in their merit increase, dental program deductible or the effective date of their promotion — individual situations that happened long before you even came on the scene. When your finance counterparts make a mistake, they’ll just redo the spread sheet. When marketing screws up, they’ll simply redesign the campaign. When the sales group miss their quota, they focus on the next quarter. When R&D fails to discover or develop a new product, they’ll just try again. But unlike these other groups, if HR makes a mistake, it’s very personal and will sour the individual on the HR department (and YOU) for years. Finally, the spinelessly weak managers in your organization don’t do you any favors either. This approach undermines the HR group and allows them to shift responsibility to you for their actions. After all, they’ll say, HR determines pay. HR determines job titles. HR set the policy that led to your termination. So, it’s therefore HR’s fault. I could go on and on, but I’m sure you get the point. 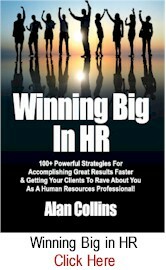 It doesn’t matter how phenomenal you are as an HR professional — even if you’re the best HR guy or gal on planet earth, respected and valued by the CEO and the executive team in your organization — you’re still going to be unpopular among many employees and managers who blame YOU for what happens to them on the job. Again, that’s just the brutal truth about our role. 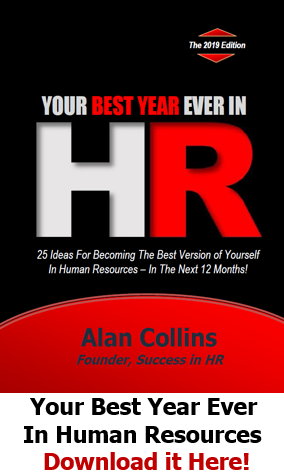 Unfortunately, some of my former colleagues have allowed this “dark side” of HR to drive them from our profession. Don’t YOU fall into this trap. But besides just acceptance, what should you do to deal effectively with them? 1. Strive for respect, not approval. Your own success in HR happens when your personal HR brand stands for trustworthiness, reliability and credibility, not the number of people who agree with every little thing you do. Build this kind of reputation for yourself, whether your HR department has it or not. 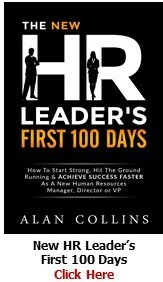 The world’s most reputable and successful HR leaders accept the reality that some decisions will be unpopular. And that means not promising what you can’t deliver or making commitments just to be liked or to make people happy. If you can’t handle others’ disapproval, then HR probably isn’t for you. Trying to be everyone’s friend is a futile and selfish effort — and is impossible. 2. Replace no’s with options (lots of them), whenever you can. Let’s say your client is freaking out over his three best people and wants to increase their pay beyond reason, in order to retain them. In this case, don’t respond with just a flat out no. Meet with him on his turf to brainstorm alternative, creative solutions that address his real need: retention. For example, could you keep these top performers by creating an opportunity to improve their skills so they might be promoted (with higher pay) more quickly? Can you restructure their jobs to give them even more recognition, freedom and autonomy in making decisions? Can you enhance their work life by providing flexible work schedules, remote working arrangements or more time off? Strive for win/win solutions. It’s not always possible, but work hard with your clients to come up with alternatives that both you and they can embrace. 3. Focus on what you can change. Ignore the noise from those who are complaining because they had a bad HR experience or know someone who did. Instead focus on those things within your control or that you can change. If you’ve discovered that you’re suddenly someone’s enemy, look back at the series of events that led up to this strain in your relationship. You may discover that somewhere along the way, you screwed up. If so, fess up and apologize. And keep moving. Ultimately it will be your willingness to admit mistakes and keep a cool head that serves both their interests and the company’s. Life’s too short. We’re all human and there may be clients who bring out your worst instincts. Just as it’s important that you do not play favorites, it’s also important that you resist the urge to retaliate against someone who has pissed you off. You’re asking for trouble if you go after people with the attitude that “I’m going to make them pay!” Even if you win and that person quits (or is terminated), word spreads and you’ll never be trusted again. When that happens, you might as well leave too. Model forgiveness and, to a responsible extent, forgetfulness. Be an example yourself of supporting a workplace where people are expected to make mistakes and in which it’s safe to be human. You can do this by treating screw ups as teachable moments and learning experiences that everyone can benefit from. Cut others slack and they’ll return the favor when you slip up…which you will do. 5. Let people vent, but don’t get pushed around. In the article Don’t Call Me HR, RJ Morris tells the story of attending a meeting with a stressed out Operations executive named Jim whose business wasn’t doing well and who wanted to make job cuts. The meeting had operations, senior executives, finance, HR and others in the room. During the meeting this executive would drop in statements like: “Well, if HR would let us do this the right way, we’d be done with this already..” or “HR won’t let us make the changes we want make…” In doing so, he was blaming HR for not letting him make the people changes he was seeking. To be fair, I’m not an advocate of calling people out and smacking them down in a meeting in front of their peers, especially when you can do it in private. But I’m also not an advocate of being disrespected either. Sometimes you must make a stand in favor of a value or principle. In doing this, some people are bound to take it very personally and believe you’re taking a stand against them. And I’m sorry, that can’t be helped. Successful HR leaders stand up for themselves, their values, stand up against toxic and truly cruel managers and gain respect from others because they take the most important stand of all — the stand they take in front of the mirror. 6. Embrace HR’s larger purpose. 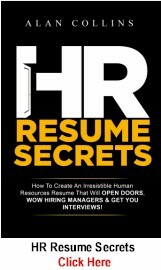 As an HR professional, what really drives you should be your unwavering desire to help your organization get better results through people. Read that sentence again, because…that’s why you get paid. Despite all the crap you take, it’s a noble calling. So stick your chest out and wear that badge proudly. Don’t let others extinguish your flame. Despite the negatives, what you can do as an HR professional to impact peoples’ lives in a positive way is immense. You help to develop and execute strategies that make your business successful, which in turn creates jobs for lots of people. You ensure employees are rewarded fairly enabling them to provide a life for their families they can be proud of. And you help provide a workplace that’s engaging, productive and where talented people can thrive and achieve their dreams. 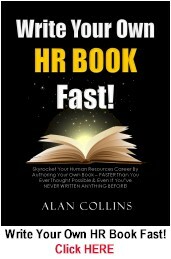 HR, like any calling, has thrills, challenges and frustrations. So prepare to be hated, but remember that most haters don’t matter. So don’t permit yourself to be a “victim” because of misplaced blame or because someone just doesn’t understand what HR does. The ones who DO matter will sincerely appreciate your leadership and will value your guidance — especially if you prove reliable, consistent and trustworthy. Let THEM be your source of motivation. And just embrace the dark side as part of your role. 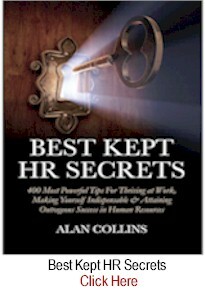 The above was excerpted from the book, Best Kept HR Secrets. Please add your own thoughts or comments below by clicking HERE. 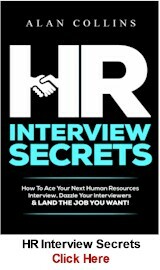 For a more short, pithy stone cold truths for getting ahead in HR, check out: BEST KEPT HR SECRETS: 400 Most Powerful Tips For Thriving At Work, Making Yourself Indispensable & Attaining Outrageous Success in Human Resources. 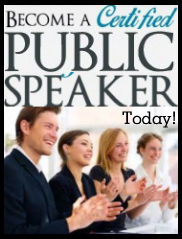 Get MORE INFORMATION by going HERE. 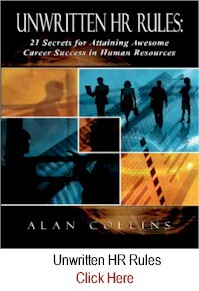 About the author: Alan Collins is Founder of Success in HR, Inc. and the author of a variety of best selling books for HR professionals including BEST KEPT HR SECRETS. He was formerly Vice President – Human Resources at PepsiCo where he led HR initiatives for their Quaker Oats, Gatorade and Tropicana businesses. Thanks Alan. 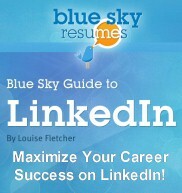 As usual, a useful article, particularly for those who are still early in their HR careers. Above all else, I think your most important nugget was “strive for respect, not approval”. Standing up for the right thing in a situation cost me a job once. I remember it vividly (and just a bit painfully) to this day. But you know, I have self-respect (which is even more important) because I know I did the right thing and delivered news a leader did not want to hear. Wow. These are everyday issues Alan. Thank you for your thoughts on how to deal with them. This article is BRILLIANT and very relevant to conversations we’ve had as a team this week. I am particularly passionate about not being referred to as “HR” – I am a person, with a name (and feelings), and always take the opportunity to remind people of that (in a friendly way of course!). Thank you Alan – you’re amazing. wow, thats the so true and real. It actually speaks of my day to day life as a HR person. As you have put it, its a noble cause. To thers in this profession lets ‘stick our chest out and wear that badge proudly’. As stated by others, this is an excellent article. It should motivate us all. I like your recommendation about providing options. 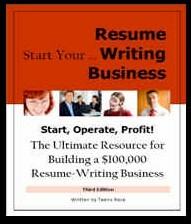 In some cases this will help you demonstrate your strategic business skills. I love the HR career but there is a dark side. However the organization will not be sustainable without the strategic HR leader next to the CEO and CFO. This is indeed a great article. The challenges HR professionals face are the same in all geographies. One thing I have learned over the years is that you need to establish your identity from the day you join an organization. Trust and respect are key to the success of our work. HR is surely a calling. Very few people will appreciate the value of our role. Thanks Alan , after 40 years of doing this I find this article right on target !!!! This is one of the best articles I have read it’s so true. An HR professional job is like the weather you never know, the people and the situations can change daily. This is so real and true. These are everyday issues in the field of HR. Excellent read! One of the best, top five, of my several hundred reads in 2018! 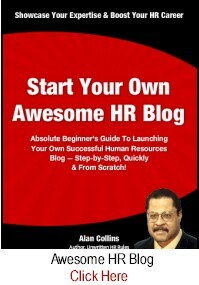 Great reminder for the seasoned veteran in HR and the new, or novice, HR professional just getting started. Can’t wait to read the book from which this short read came from. Thank you. 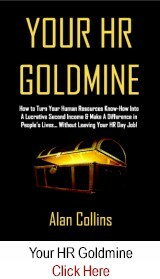 Non-HR folk should also read this and take it to heart. We are all in this together, and we all have valuable roles to play. Make friends with the HR gurus – they have a lot to teach us – if we will listen! I can relate to much of this article. Leading a HR team is a challenging but fulfilling role but one where you have to make those hard decisions and give that unwelcome advice. HR is the only department you work with people and for people but in the end majority of the staff are not happy from HR people due to different HR polices implemented by HR. The Dark side of HR is better understood by HR experts however making right decisions based on polices is always good option. Thank You Alan for sharing the article. Bright side: when they needs you, they called you SIR! I am very motivated by those grateful, sincere, hardworking staffs and hope for more jewels in mankind. 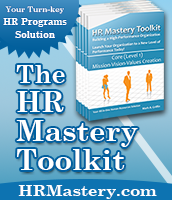 There doesn’t have to be a dark side to HR. If you treat people with respect, compassion, and empathy while helping them accept the decision & the impact it may have on their personal situation that’s the first step. Next, help open the door to see the possibilities that lie ahead of them – the future is limitless. That’s when you know you have found your calling in HR. We can be both the catalyst and the bridge to help others be the best version of themselves they can be, and set the example by being the best HR professionals we can be. 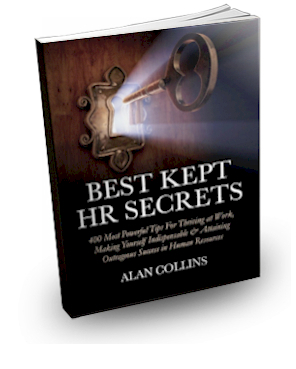 There doesn’t have to be a dark side to HR. If you treat people with compassion, empathy, and respect while helping them see the possibilities for the future, you will have more raving fans than dissenters. HR pros that take the time to communicate the “why” no matter what the situation, improve the results for the individual and the organization. This article is well written. I have been in HR since 1995 and can’t deny the points mentioned are true. It’s very important that as HR professionals, we need to know the purpose why we are hired is to help Company and employees moving towards positive directions. No matter what happen, never give up and never forget the purpose.